Groffdale Barns specializes in quality, custom Horse Barns and portable Sheds built to your specifications. Each of our barns are manufactured right here at Groffdale barns. No middle man! Buy directly from the manufacturer! We have been building quality barns since 1984. Located in Amish Lancaster County, we deliver barns along the East Coast. Thanks to Groffdale Barns for a beautiful, very functional four-stall barn and indoor riding arena... We were aware of the reputation of Amish handcrafters, but Groffdale surpassed our expectations. We are the manufacturer! We sell directly to you with no middle man making the savings yours! Experience the benefits of buying directly from the manufacturer! 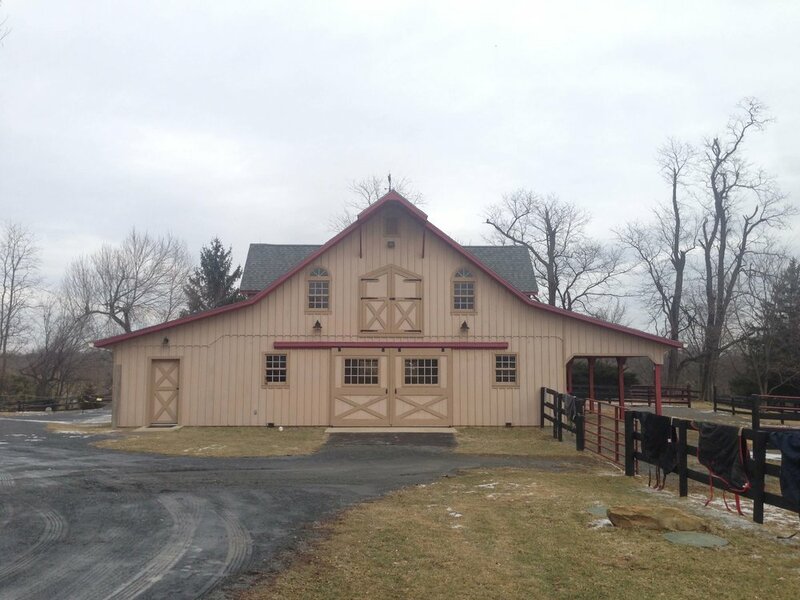 Each of our barns are manufactured right here at Groffdale Barns in Lancaster County, PA.
Purchase with confidence when you buy a Groffdale Barn, knowing that you are buying a barn that contains value, worth, and decades of experience. In 1984, Moses Riehl started building small Sheds, Row Stables and Run-In Sheds in his shop adjacent to his horse barn. We offer Custom Barn Delivery along the East Coast throughout PA, NJ, MD, VA, WV, NY, and CT, using a specially equipped trailer. We can also build Shed Rows and Run-In's on site to those hard-to-reach locations.